This publication grew out of a Pre Conference event held in Bogota in 2017 prior to IAMCR’s Cartagena Conference. 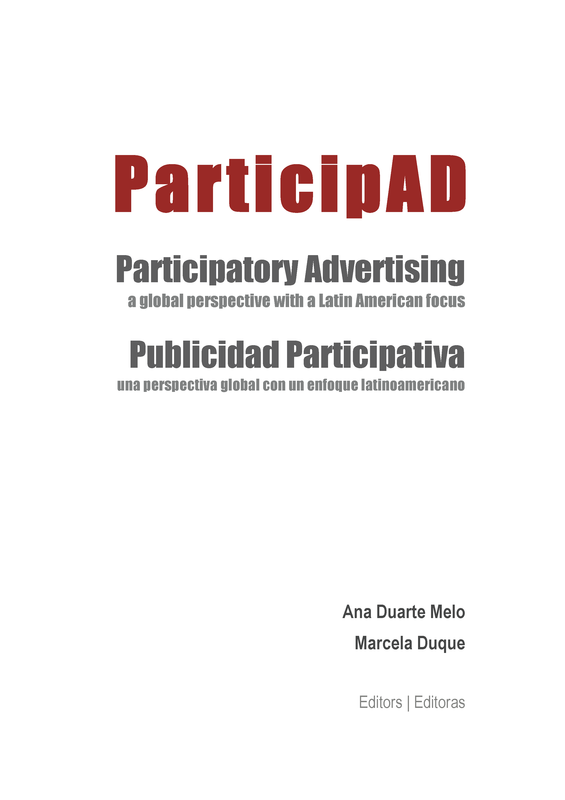 It is the result of many contributions from researchers, advertising professionals and activists, and provides a variety of perspectives on the participatory dimension of advertising. ParticipAD, short for Participatory Advertising, is a concept based on the participatory and interventionist potential of advertising. This book presents critical reflections as well as cases of alternative uses of advertising, whether as a system, a modus operandi or simply as a code, for purposes other than the conventional profit, revenue and economic drivers, focusing instead on its participatory scope, as a tool for peace, social change and citizenship.